We are engaged in providing a wide range of Stone Diamonds. These are provided in different specification to meet the diverse requirement of client. The offered products are attractive and have fine designing. 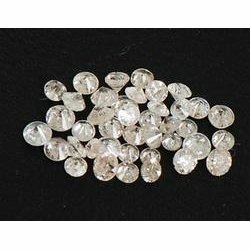 Procured from reliable and experienced vendors, the offered Stone Diamonds are known among the finest available in the market. Padmavati Creations, Jaipur, established in the year 2011, is one of the topmost exporter, supplier, distributor, trader & importer of a wide range of premium quality Jewellery, Precious Stones & Semi Precious Stones. Our product range is inclusive of Fancy Diamond Jewellery, Costume & Fashion Jewellery & Metal Jewellery. Precisely procured from well-known and reliable vendors, these gemstones and jewellery items are known for their attractive patterns, impeccable finish and elegant designs. These gemstones and jewellery items can be custom designed as per the requirement of our prestigious customers. We export our products in all over the world. Owing to the vast and well-equipped warehouse facility, we have been able to supply and export these gemstones and jewellery items within the promised time frame. Our warehouse unit is equipped with all the required tools and equipment for storage of these offered gemstones and jewelry items as per the industry set standards. Spread over a wide area of land, our spacious warehouse unit is well connected with the different modes of transportation such as roads and railways. We have appointed experienced professionals for the effective handling of our warehouse unit. We Import our products from Japan, China, Hongkong.